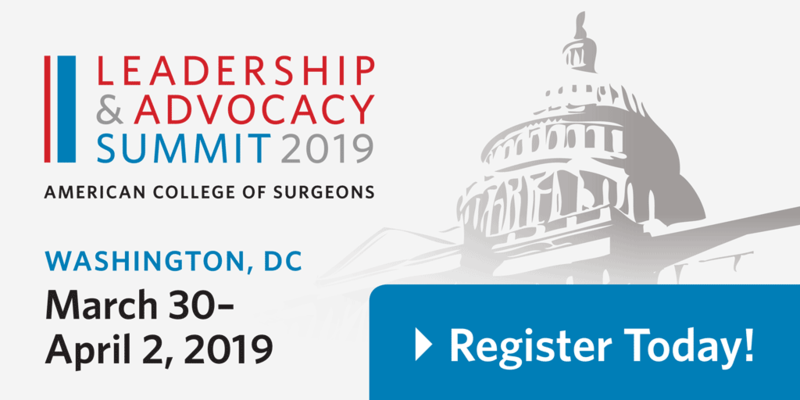 The American College of Surgeons (ACS) is pleased to offer again this year a limited number of scholarships to Resident members of the ACS who are interested in attending the upcoming Leadership & Advocacy Summit, March 30–April 2, 2019, at the Renaissance Downtown Hotel in Washington, DC. 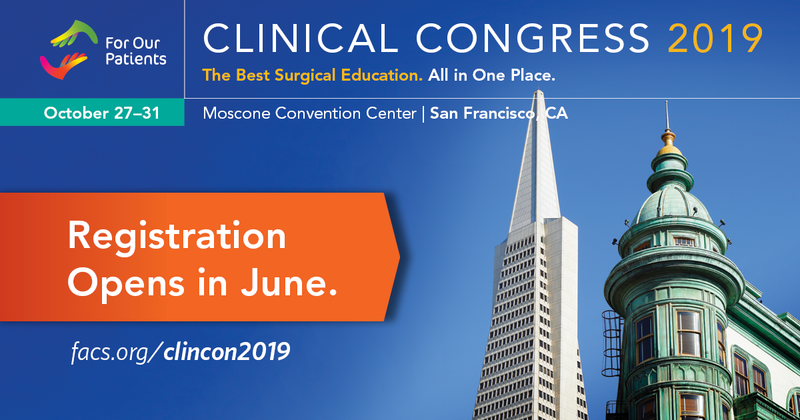 The eighth annual Summit is a dual meeting that offers volunteer leaders and advocates specialized educational sessions focused on effective surgeon leadership, interactive advocacy training and coordinated visits to Congressional offices. Details on how to apply can be found at the following link: https://www.facs.org/advocacy/participate/summit/resident-awards. The deadline to apply is Friday, January 11, 2019. The 2018 TQIP Annual Scientific Meeting and Training brings together trauma medical directors, program managers, coordinators, and registrars from participating and prospective Trauma Quality Improvement Program (TQIP) hospitals and provides an ideal venue for networking and for the sharing of best practices. The meeting will include role-specific breakout sessions to ensure all staff members receive the knowledge most useful and pertinent to their role on their facility’s TQIP team. In addition, Level III, Pediatric, and collaborative specific sessions will be offered, as well as sessions geared towards staff at new TQIP centers, new staff at existing centers, and those who need a TQIP refresher. Reserve your room at the Hilton Anaheim or Sheraton Park Hotel at the Anaheim Resort today to receive the ACS group rate. Both hotels are conveniently located on the Anaheim Convention Center campus. In late July, all US members of ACS with an email address were sent an initial email notifying them of an upcoming survey, followed by an email with a link to the survey. The survey is anonymous and is being performed in partnership with the University of Illinois at Chicago (UIC) Survey Research Laboratory (SRL). The web based survey is completed by clicking the unique link in the email with the subject header “ACS Firearm Injury Prevention Membership Survey.” The email came from David B. Hoyt, MD, FACS, and was sent on behalf of uic.edu. The last day to complete the survey is September 9th. Please check your e-mail and SPAM folder if you have not yet completed the survey. With Medicare and third-party payor policy and AMA CPT coding changes taking effect in 2018, it is imperative that surgeons and their practice coding and billing team have accurate and up-to-date information to protect reimbursement and optimize efficiency. 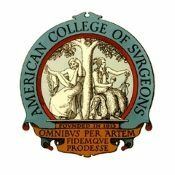 Register now for the American College of Surgeons Coding Workshop to be held on August 9-10, 2018 in Nashville, TN. Participants in this coding workshop will not only learn how to correctly report surgical procedures and medical services, but will also have access to the tools necessary to succeed, including coding workbooks to keep for future reference that include exercises, checklists, resource guides, templates, and examples. Physicians recieve up to 6.5 AMA PRA Category 1 Credits™ for each day of participation. In addition, each day of the workshop meets AAPC guidelines for 6.5 continuing education units. Take a moment to support your colleagues to fight a proposed provider tax on ambulatory surgery centers in the state. Take Action to tell your Pennsylvania lawmakers to reject a Provider Tax in the state budget. Pennsylvania Governor Tom Wolf proposed a new PROVIDER TAX on Pennsylvania ambulatory surgery centers in his 2018-19 budget address. His proposal seeks a 2.81% tax on profitability (net patient revenue) to generate $25M on an annual basis. The tax is part of the Human Services Code which provides additional dollars for Medical Assistance. The tax will result in decreased access to high-quality, cost-efficient community based surgical care, and increase costs for patients, insurers, employers and the state. The legislature is giving serious consideration to approving the tax. The new Provider Tax would be detrimental to ambulatory surgery centers that provide a critical part of the quality and affordability of health care in Pennsylvania (Fact Sheet on Provider Tax). The Keystone and Philadelphia Chapters of the American College of Surgeons have joined with the Pennsylvania Medical Society and the Pennsylvania Ambulatory Surgery Association to oppose the new Provider Tax. A new tax on one part of medicine could lead to future taxes for others. 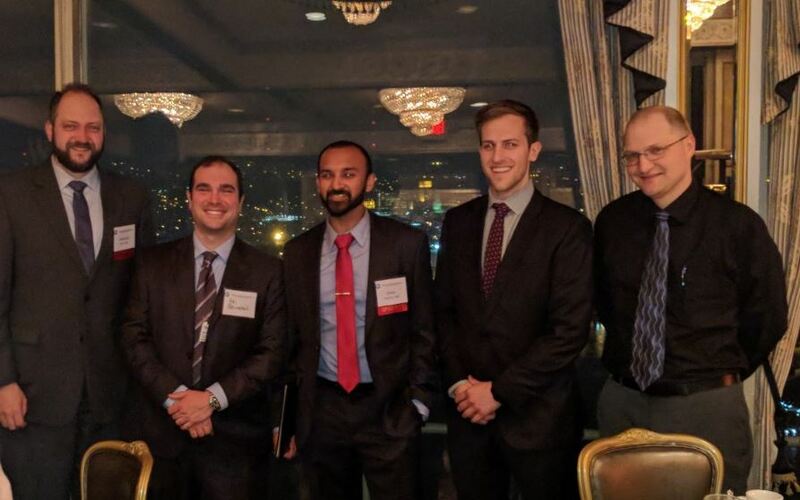 On April 9th, the SWPA Chapter of the American College of Surgeons met at the LeMont Restaurant to consider interesting case presentations by surgical residents from area training programs. Nineteen cases were submitted and the top five were selected for discussion at the event. Johnathan Levy, MD (PGY-V) at AHN Allegheny General started the evening with an examination of “Delayed presentation of pyogenic liver abscesses after hemorrhoidectomy.” Kevin Yang, MD (PGY II) from UPMC Mercy presented “Multiply Injured Trauma Patient with a Partially Transected Innominate Artery.” Omar Hashmi, MD (PGY IV) from AHN Allegheny General spoke on “Extensive Neovaginal Squamous Cancer in a Transgender Female Presents as a Large Pelvic Mass.” “Inside the Eleventh Hour with an Aortoesophageal Fistula” was presented by Jennifer Silvis, DO from Conemaugh Health System. Pete Allen, MD (PGY-V) from UPMC Mercy was voted Most Interesting Case for his presentation on “A Case of descending mediastinitis from a dental infection.” Congratulations to Dr. Allen and to all our presenters and special thanks to Dr. Sheri Mancini for moderating the evening’s event. Submissions now being accepted for the Most Interesting Case Presentations. 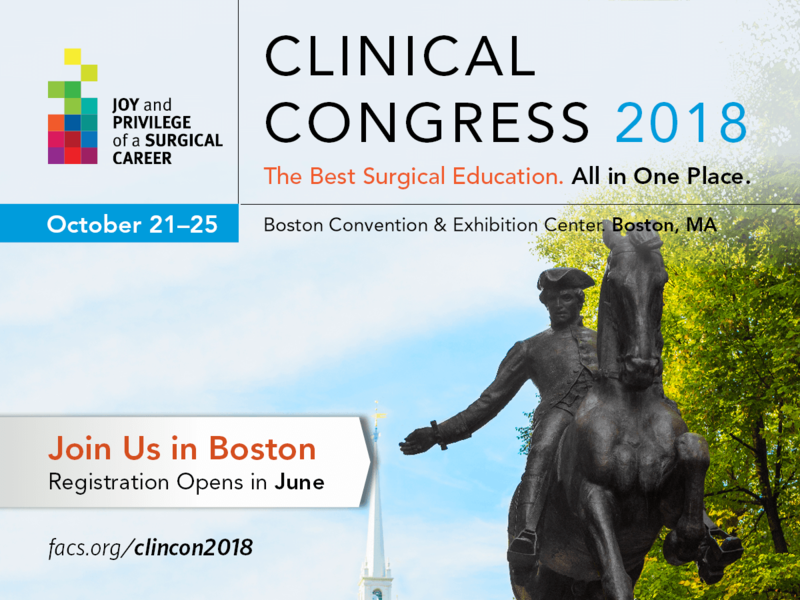 The competition is open to all general surgery residents and surgical specialty residents. Medical students are not eligible. Having presented at the national level is not a disqualifier to submitting an abstract. Send two copies of each abstract to be presented (one blind copy with only the paper’s title for judging and one version with the principal author’s name, institution, phone, fax, and e-mail address) to the SW PA Chapter Office by Thursday, March 22th, 2018. The abstracts will be reviewed with a number being selected for presentation at the April 9th event. Each selected presenter will be notified shortly thereafter.